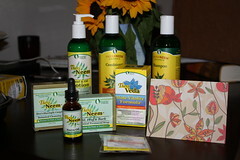 This is what I won from Organix South for my “I Love Neem” video, in addition to the check for grand prize. A bunch of awesome products to be sure, but there is one that came in the box that particularly caught my eye – it’s the one I put in the middle (next to the card) – it’s for male vitality. I could not be more excited about that little box. Listen, it’s been a long day and I don’t have it in me to come up with punchlines all the damn time. Feel free to come up with your own punchline to that and email it to me. Either way, I’ll let you know how the pills work. If the neem pills do what it sounds like it can do, I am sure I will be writing a song about it and including it in my stand up act. Organix-South is the best neem company in the world! Your video is awesome!